With 10% of all enterprise-generated data being generated and analyzed outside of the cloud or centralized data centers, edge computing is slowly gaining momentum across many industries. However, as the figure is expected to reach 75% by 2025, we can soon witness exponential growth in edge computing adoption. 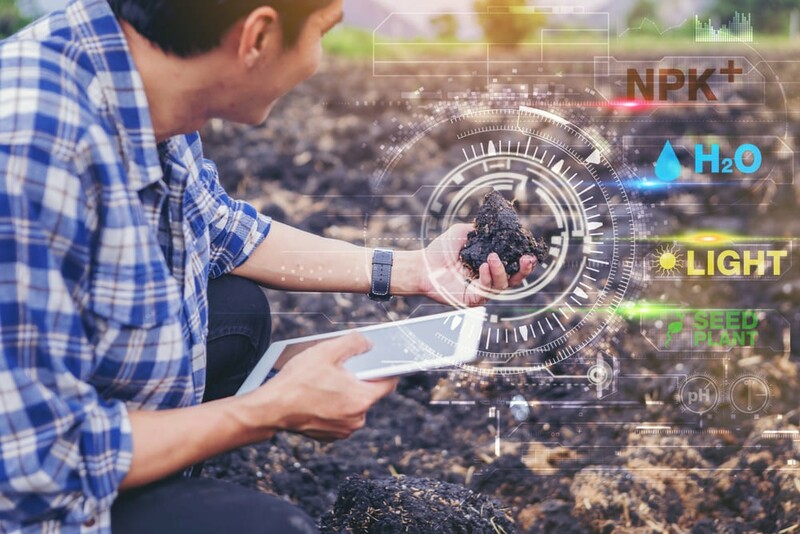 Namely, edge computing has already become a major IoT trend in agriculture, and for a good reason: edge computing wins hands down in terms of speed and efficiency when compared to the cloud infrastructure. In this article, we will explore some of the IoT edge computing use case in agriculture. But first, let’s talk about the main challenges within IoT and cloud computing for agriculture and explain how edge computing can solve them. 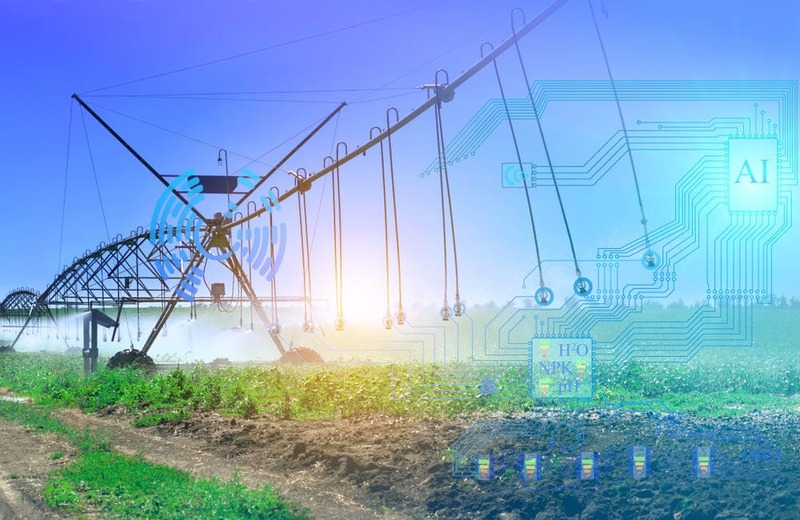 While the benefits of IoT applications in agriculture (as well as in any other industry) cannot be overstated, smart farming technologies can still pose certain challenges, especially if they rely on the cloud. Problem: When data is transferred back and forth between the device located in the field and the cloud, the chance of violation is extremely high. Plus, each device or sensor in your IoT network can be a potential point of vulnerability. Solution: Edge computing helps you minimize the risk of data violation or theft as your data stays right where it was collected – within the device. Problem: Collecting, transferring, and analyzing data is a time-consuming task. That is why some organizations might be faced with the challenge of having to choose between the depth of insight sourced from the data and its processing speed. This is especially true for remote agriculture devices located in the field. Solution: Edge computing eliminates this challenge by increasing network efficiency and speeding up data processing. Each device in the network can analyze the data it collects and can provide immediate feedback, thus increasing the processing speed and furthering the depth of insight. Problem: Cloud computing expenses typically depend on the amount of data generated by the “things” and transferred through the network. Taking into account the number of devices used by a single smart agriculture system and the loads of data it provides, the cost of cloud computing can easily skyrocket. Solution: By using edge computing in agriculture, you don’t have to crowd your storage with irrelevant and useless data or transfer it to the main database at all. As a result, you can easily cut your cloud cost, in terms of both storage cost and bandwidth. Considering the listed challenges, the advantages of edge computing become even more obvious. And it is especially so when talking about edge computing in agriculture. There are dozens of use case examples for smart farming and agriculture: from keeping track of climate changes and monitoring the crop/cattle conditions to greenhouse automation or even IoT-enabled end-to-end farm management solutions. As for the use cases of edge computing when applied to smart farming technologies, the key opportunity lies within the so-called “precision agriculture”. When using this approach, farmers rely on data to gain better control over the business, optimize the efficiency of their operations, and, as a result, reduce the operational expenses. 1.Agribots. Autonomous tractors and robotic machinery can run on autopilot, communicating with nearby sensors to obtain the necessary data about the surrounding environment. Using computer vision and pre-loaded field data, agribots can calculate the most efficient paths to cover the required area taking into account the type of performed task, number of vehicles currently in the field, size of implements, etc. Plus, they can reroute automatically in case of an unexpected obstacle or stop completely, for example, if there is a human or an animal in the way. As a result, the smart equipment can perform a wide range of tasks, like watering/weeding specific field areas when needed or even autonomously harvesting crops. 2. Farm automation. Just like agribots, a greenhouse or even entire farms can be put on autopilot using IoT edge computing. This means the closed ecosystem can take care of itself without relying on a remote server to process the collected data and make decisions about routine processes, e.g. watering the plants, feeding the cattle, managing the temperature, light, humidity in the room, etc. 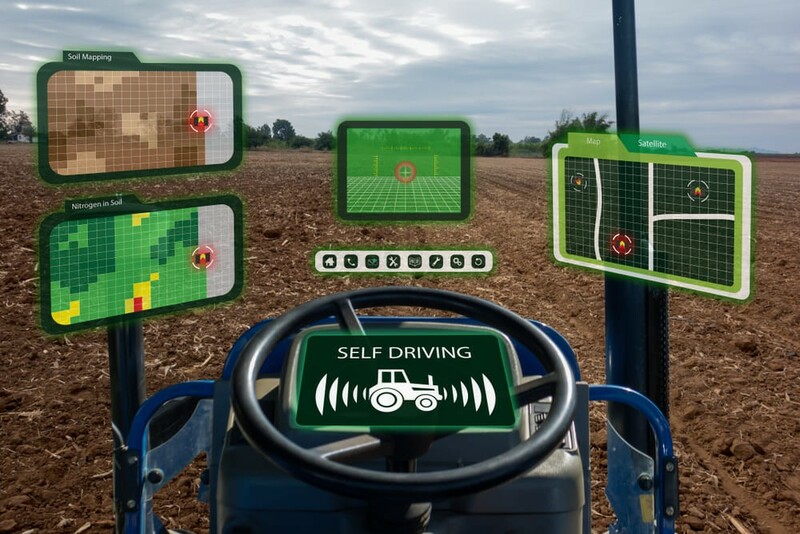 As in the case of agribots, edge computing will allow the farm or greenhouse to operate regardless of the connection to the main server and make decisions locally, based on the data from local sensors. This has the potential to improve processes reliability and reduce waste making agriculture a more sustainable process. 3. Disaster protection. Using edge computing, agriculture IoT systems can make informed decisions about potential environmental hazards or natural disasters. Namely, remote sensors can collect and analyze data about changes in the weather or the environment to predict potential disasters and, in case there are certain signs of danger, immediately notify the general control center. As a result, farmers will be able to take timely measures to protect their crops, at least partially, in case of a wildfire, for example. The number of enterprise-owned IoT devices that rely on edge computing will reach 5.6 billion in 2020, according to BusinessInsider. And agriculture has all the chances of being at the forefront of innovation in this field, along with manufacturing, energy, transportation, healthcare, and retail. This means we can expect to see more edge computing use cases in agriculture and smart farming very soon. So, adopting the technology for your new projects or migrating your existing IoT systems to the edge as soon as possible can help you gain the competitive benefit of an early adopter. If you want to explore the opportunities within edge computing for your business, make sure to enlist support from a trusted technology provider like Eastern Peak. Our team has vast experience building successful IoT products for startups as well as Fortune 500 companies all over the world. To discuss the use cases and potential benefits of edge computing for your business, book a free personal consultation with one of our IoT experts using our contact form. previous post7 Digital Transformation Mistakes to Avoid	next post3-in-1 Developer: A Jack of All Trades or a Unicorn?